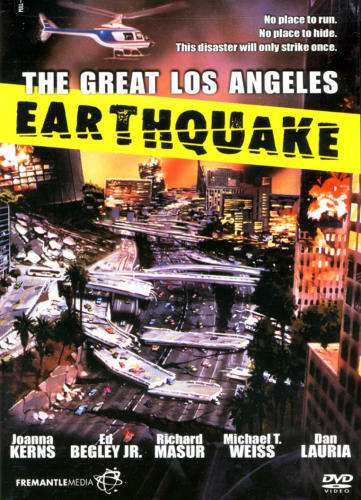 After a series of small tremors in Los Angeles, Dr. Clare Winslow, a local seismologist, pinpoints the exact location and time of when the long awaited earthquake--"The Big One"--will strike southern California. With this information, she must battle city officials to release this information to the general public. Also, she hopes that her family is out of harms way when the quake strikes. Subplots show how other families and people cope with the the tremors that strike before the impending. When there's a gigantic earthquake, why doesn't the shaking start a cavalcade of earthquakes worldwide? I mean, the tectonic plates around the world are always under pressure until enough builds to break them loose (thus the earthquake), so why don't huge earthquakes shake things up enough to "help" quakes break loose all over?